The fight for our 2nd amendment rights is on. Yesterday, the Kentucky Senate overwhelmingly approved a bill forbidding the enforcement of new federal gun safety laws. State legislators in Missouri and Idaho are also fighting these federal laws. The states are using a 19th century legal tactic called nullification – whereas states can simply declare federal laws invalid if they think the laws are unconstitutional. It could also mean jail or fines for those who try to enforce these unconstitutional laws. The measure in Idaho, which was signed by Gov. Butch Otter on March 19, would fine state or local officials who enforced federal gun control laws to fines of up to $1,000. State legislators in Missouri and Idaho are trying to prevent the enforcement of federal gun control laws with a legal tactic called nullification – and if successful, the new laws could result in jail or fines for those who do enforce them. The measure in Idaho, signed by Gov. Butch Otter March 19, would subject state or local officials who enforced federal gun control laws to fines of up to $1,000. The new law prohibits state officials from enforcing “federal executive orders, agency orders, statutes, laws, rules, or regulations” enacted after March 19, the effective date of the new law. It passed the state Senate, 34-0 and the House, 68-0. It was SB 1332. “By signing this nullification bill into law, Idaho has joined an elite class of states that are telling the feds to ‘get lost’ — especially when it comes to unconstitutional gun control infringements,” said Erich Pratt, director of communications for Gun Owners of America. Tenth Amendment Center national communications director Mike Maharrey also applauded the Idaho law. Proposed legislation in Missouri would give state officials the power to arrest and jail federal agents trying to enforce federal gun laws. It passed the state Senate, 23-10. 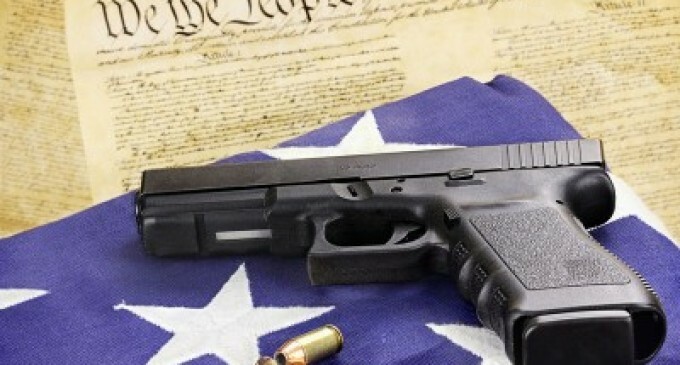 “I am proud to say that we have passed arguably one of the strongest Second Amendment protections in the country,” State Sen. Brian Nieves (R-Washington), the sponsor of Missouri’s Second Amendment Protection Act told the Associated Press. Under the law federal agents could face a year in jail and a $1,000 fine for enforcing gun control legislation. Governor Jay Nixon vetoed a similar bill last year, and the supporters were not able to get enough votes for a veto override. (b) Require any firearm, magazine, or other firearm accessory to be registered in any manner. Love it, we must continue to fight to preserve our 2nd Amendment Rights. Our Government is becoming Tyrannical. Federal laws only apply on federal territory. Hopefully majority, if not all states do thesame.